Reference number for this case: Beg-Oct-54-Beauchamps. Thank you for including this reference number in any correspondence with me regarding this case. 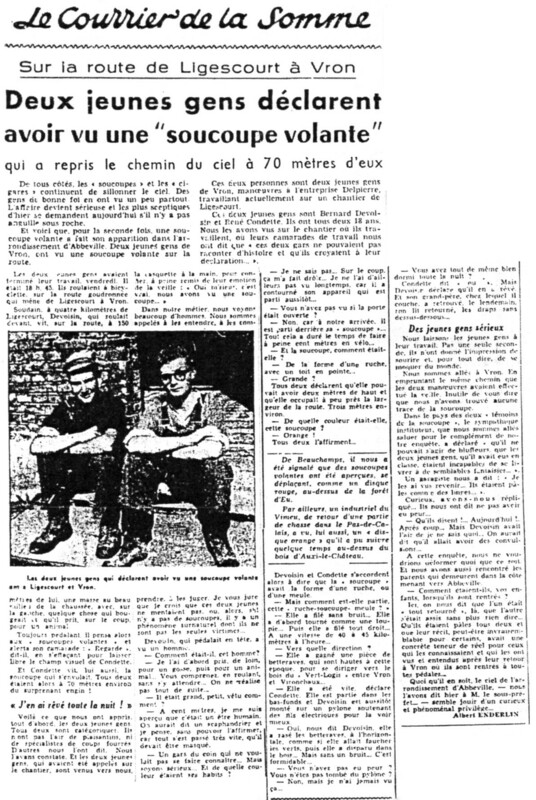 [cp1] Article in the newspaper Le Courrier Picard, France, page 3, October 4, 1954. 1.0 Patrick Gross October 23, 2014 First published, [cp1]. 1.1 Patrick Gross February 13, 2017 Addition [ub1].